I’m Kristen, and I’m so happy to meet you. Welcome to my online home, a quiet haven from this crowded, run-you-ragged world. I hope this corner of the internet provides you a place to sit and rest a bit, and it’s my prayer my words here give your soul the same. A Gift for Beautiful You: A Free eBook Change Challenge! Subscribe to Chasing Blue Skies and receive my ebook The 7 Day Change Challenge for free. Whether chosen or unexpected, all change brings stress. 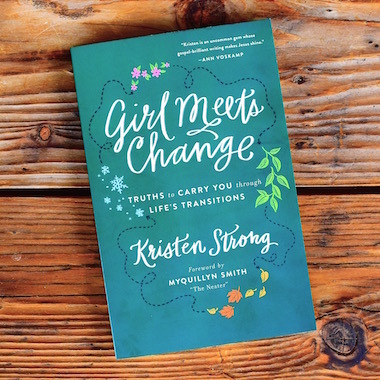 Kristen Strong knows about change--especially the kind you didn't choose. Over the years, she's fought hard to learn an important truth: change is not something to be feared but something to be received as a blessing from God who works through it, not in spite of it. 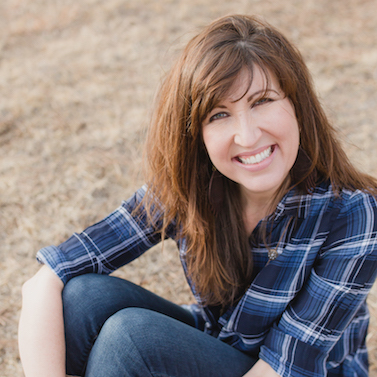 In this hope-filled book, Kristen invites you to see all the ways you are loved and cared for in the midst of change.